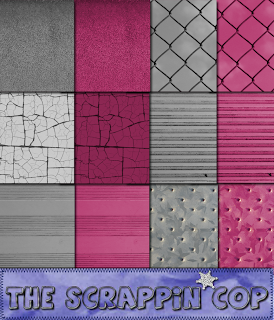 The Scrappin Cop: Overlays from the ball game tonight - CU of Course! Overlays from the ball game tonight - CU of Course! And here are the previews for the overlays I made from them!! 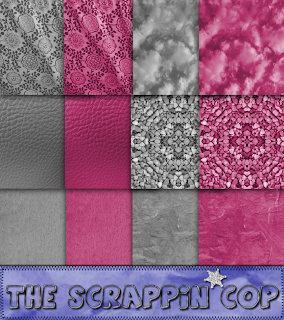 They may not be suitable for all of your scrapbooking pages but they are definitely original! There are 6 overlays per set. Gosh vacations are never long enough, did you get strange looks at the game, I know when I do that people just look at you like your weird..
And to your comment, lmao, dont I have most of your resources snagged lol.. They actually do that at Dac you give some pictures and someone else scraps them for you.. But I chose you as one to recieve the one I got, you can read the reasons why on my blog..
Wow, I just found your blog today. I'm kind of an aspiring digiscrap artist/designer...but am still lacking in knowledge (how to create a patterned papers and brushes, oh there's so much to learn), so thanks for sharing your overlays and brushes. I have a question too, are all your brushes and overlays CU, or just the ones it says CU in the title or post? Thanks so much, I really like all your patterns and brushes! Your freebies are AWESOME! Thank you so much for your generosity! Great overlays - love the chainlink fence! Love the overlays! Thanks so much for sharing your time and talent! Thank you for these. I'm so glad they are CU. I will be laying in bed tonight wondering what goodies I can make in the future with them! Whoo hooooo! Thanks! You can find treasures just anywhere. Amazing!